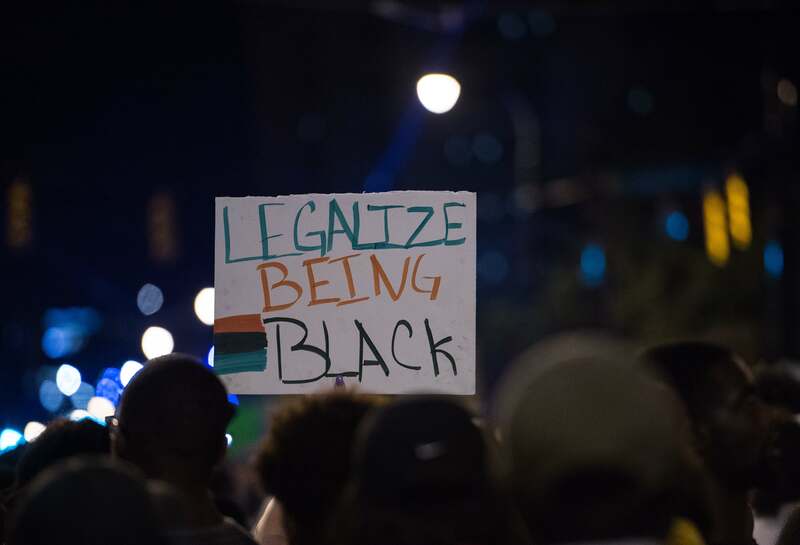 Protests are ongoing in the city of Charlotte, North Carolina, after yet another controversial police killing of a black person. In this case, a man named Keith Lamont Scott was fatally shot, and while police said he was holding a gun, subsequently released video shows no clear evidence that he ever threatened the officers. A community is in upheaval, and during a city council meeting, a young child made her feelings known — watch this little girl from Charlotte discuss police shootings, though in all honestly, you might feel a little too heartbroken to get on with your day. That's the point, of course. With dozens of black people dying in the streets, protesters and activists are demanding the attention of everyday Americans, rather than asking for it. If you're the kind of person who empathizes and agrees with the movement to end violent and needlessly lethal policing, especially in communities of color, than this video will probably touch you. Here's 9-year-old Zianna Oliphant, speaking to the Charlotte City Council. I've come here today to talk about how I feel, and I feel like we are treated differently than other people, and I don't like how we're treated. Just because of our color, doesn't mean anything to me. I believe that... we are black people and we shouldn't have to feel like this. We shouldn't have to protest because y'all are treating us wrong. We do this because we need to, and have rights. I've been born and raised in Charlotte, and I never felt this way 'til now. And I can't stand how we're treated. It's a shame that our fathers are mothers are killed, and we can't even see them anymore. It's a shame that we have to go to the graveyard and bury them. And we have tears, and we shouldn't have tears. We need our fathers and mothers to be by our side. The atmosphere in the council meeting was audibly intense, beyond even just the grief of what Oliphant was articulating — the anger and heartbreak in the room were palpable in equal measure, and she was at one point interrupted by some of the adults in the room, urging her to keep speaking through her tears. As Oliphant told NBC News after it was over, however, she was "not shy to tell them how I feel about it." I knew grown-ups and other kids wouldn't get up there and do it, so I decided — I was a little nervous, so I decided just to go up there and tell them how I feel. I was just feeling like what the police are doing to us, just because of our skin, it's not right. I was just kind of emotional because the things I said were powerful to me, so that's why I started crying. According to NBC News' report, Zianna's mother said the girl and her brother are both members of a police youth league, and that this isn't an anti-police statement so much as a statement against the way black people are unjustly targeted. While the investigation into Scott's death is not yet finished, simply considering how rare it is for officers to face charges for killing people in the line of duty, let alone to be convicted, it's possible that there will be no legal repercussions for what happened.